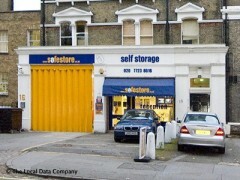 About: Easy, convenient and secure storage, 24hrs CCTV, from 10 to 300 sq ft.
From £10 per week. Broad range of packing materials available. Nationwide. Lowest price guarantee: We will beat any written quote by 20% for the first eight weeks and match it thereafter. Conditions apply.